My name is Kat, and I am the public affairs manager for the RSPB in the south-west of Scotland. We’re going wild for nature in the office this week, with the planning reaching a crescendo for the Glasgow Wildlife Garden Festival. The programme for the July event is nearly ready to be launched and boxes and boxes of leaflets arrived with us on Tuesday, filling practically all the space in the hall. So you can imagine that there was some consternation when I announced that we had been donated 200 nest boxes for our work in Glasgow with house sparrows and for the Wildlife Garden Festival from the Wheatley Group. 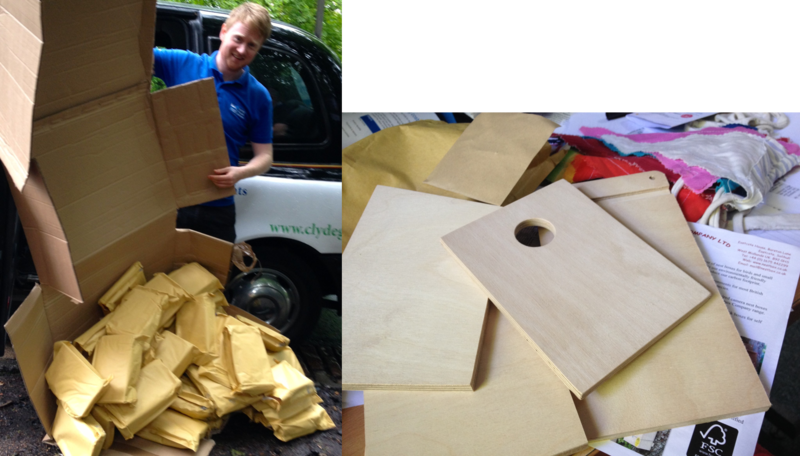 Fortunately it turned out that the nest boxes were flat-packed and wouldn’t take up the entire meeting room, and I went to collect them in a Glasgow Hackney cab this afternoon. It was quite a job getting them in and out again but we are really excited that we will be able to use them to make a real difference for Glasgow’s house sparrows. For more information, check out some of the news surrounding our project. 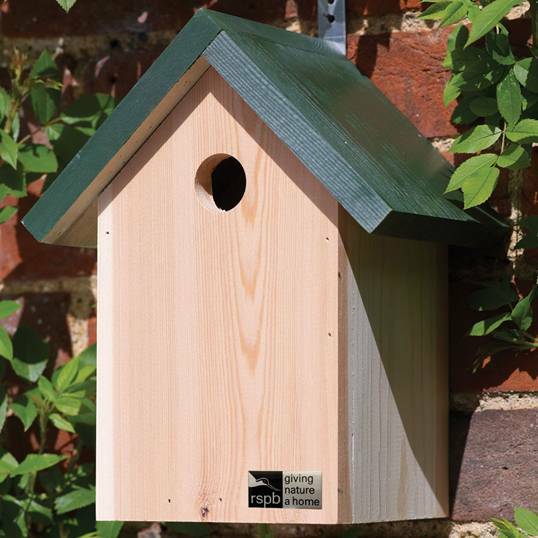 While we are on the subject of nest boxes, we’ll have some RSPB nestboxes you could win this weekend at our stall and pop-up-garden at the Gibson Street Gala. So come and see us on Sunday afternoon and chance your luck, you might be taking a beautiful bird box home.